South Africa has a mounting energy crisis which means that we all need to think of innovative ways of saving energy in our homes and of products that can help you save energy and current electricity usage. Buildings typically account for 40% of all energy consumed in South Africa and yet their potential for saving energy is huge. Thermal ceiling insulation must be included in the design of all new buildings. This, in combination with saving energy techniques, makes it possible to save up to 78% of a buildings energy consumption for space heating, cooling and hot water services. The application of this new regulation is good news for the environment and will help with saving energy. 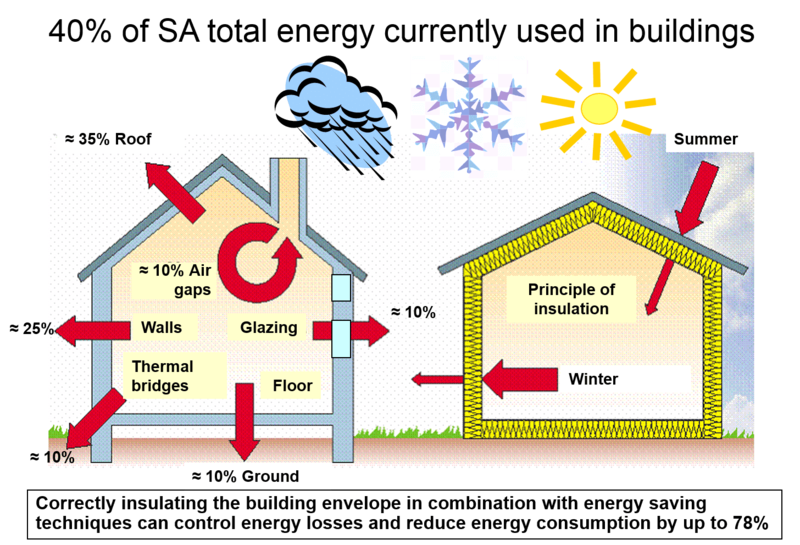 By insulating your home you will be able to maintain a more consistent temperature throughout the year, costing you less in the long run, and ensuring the comfort of your family.